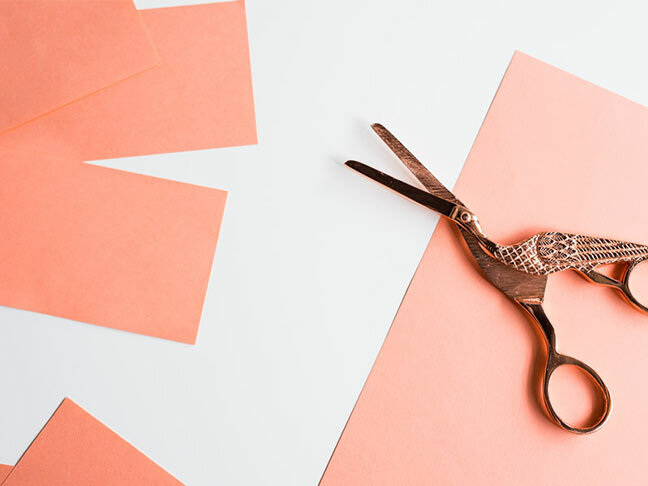 Any time I can use recycled products for a DIY project is a win in my book. So, I came up with a DIY Thanksgiving centerpiece idea that involves a very common recycled material. 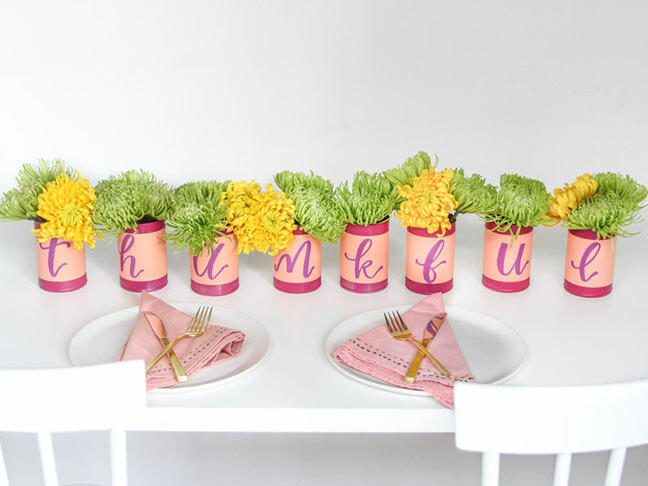 Make a DIY message centerpiece using recycled soup and veggie cans. 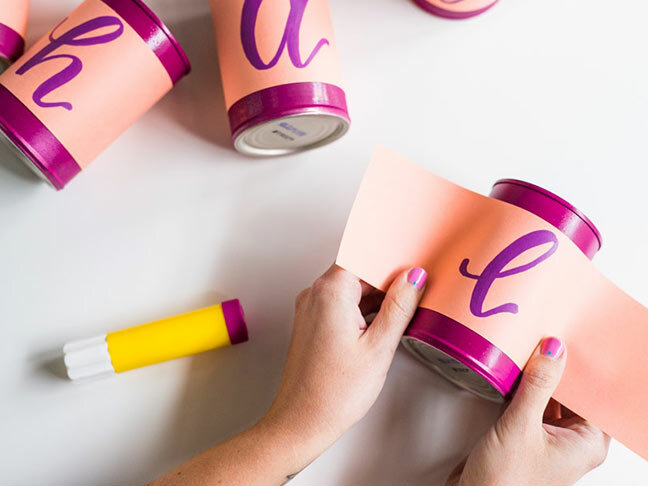 I chose “thankful” for this upcycled tin can project, but you could add any message to these cans—your last name, or even a holiday or birthday message. 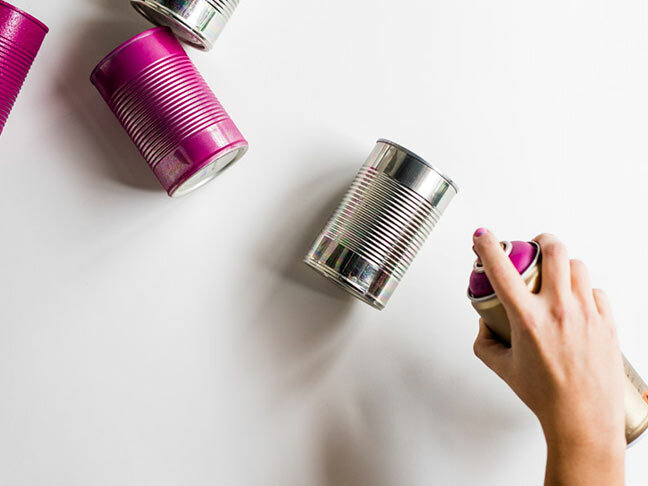 Step 1: Start by deciding on your message and removing the labels from each can. 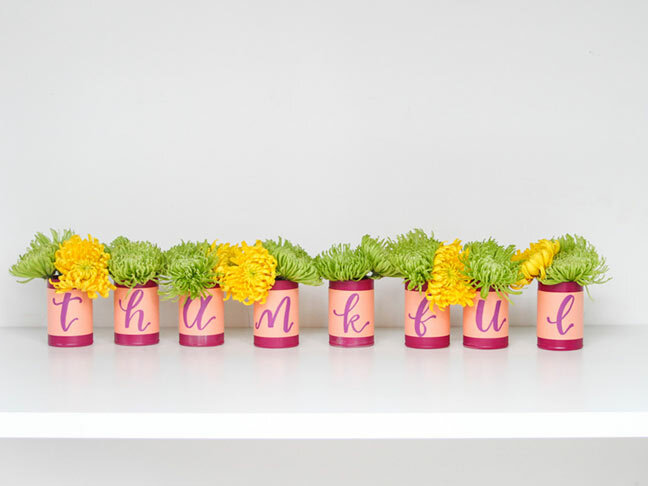 I chose the word “THANKFUL,” so I needed eight cans (one for each letter) to complete my tablescape. 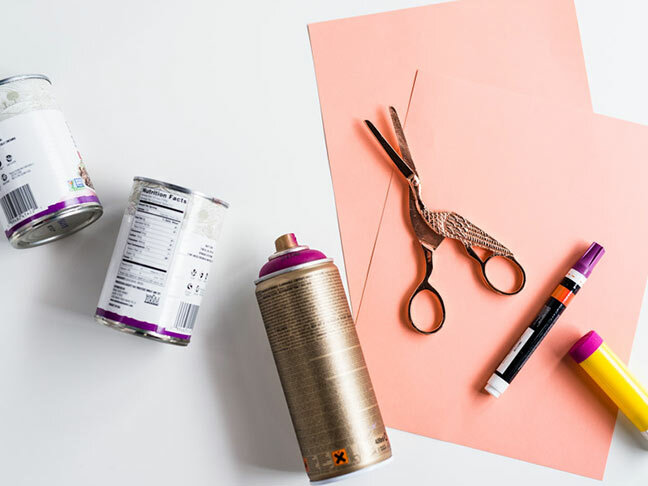 Step 2: Once the labels have been removed, spray paint each can in a rich fall color, like burgundy or gold. 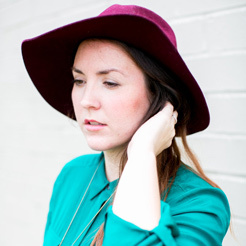 You’ll probably want to apply two coats. 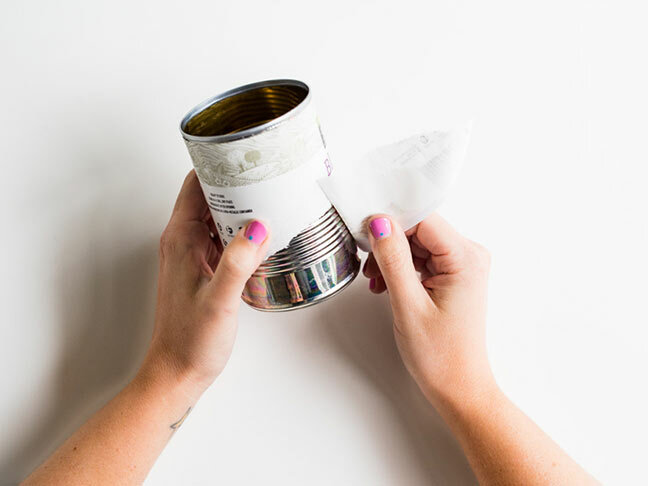 Step 3: While you’re waiting for the cans to dry, you can cut out the paper bands that will wrap around each can. For a standard sheet of colorful 8.5 x 11, you should be able to get two bands from each sheet. I made mine slightly larger than the ridges of the can for a more cohesive look. 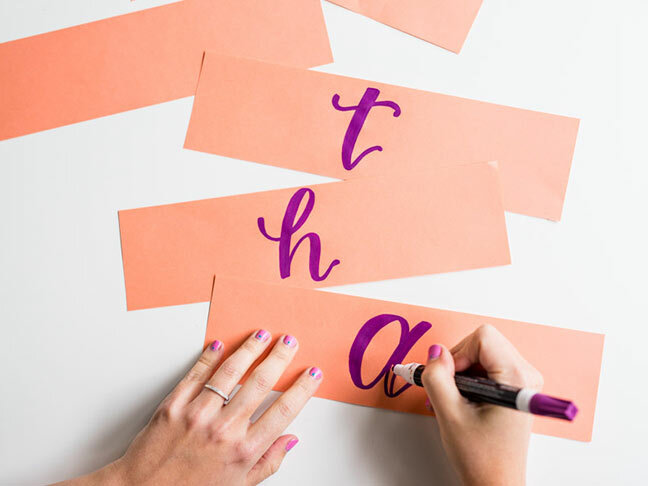 You’ll need one band of paper for every letter in your phrase. Step 4: In the center or each band of paper, write one of the letters of your “THANKFUL” phrase. 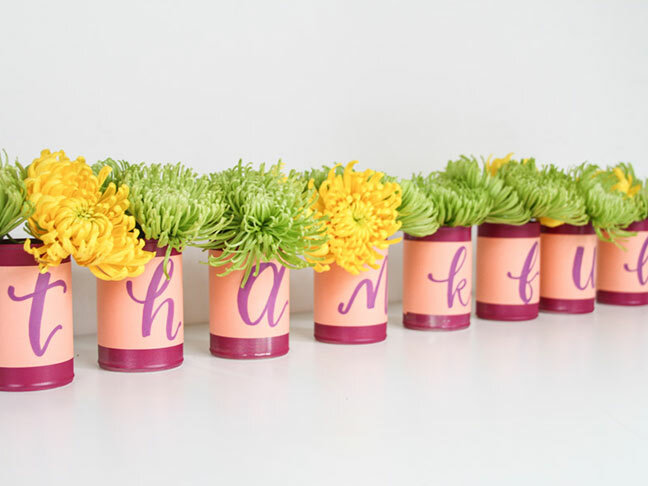 Step 6: Add flowers and water and line up on the Thanksgiving dinner table or an entryway table to greet guests.